According to Forbes, that estimable evaluator of trends and hipness, I live in the third “Best Hipster Neighborhood” also known as Williamsburg, Brooklyn. It will come as no surprise, then, that this exists. Perhaps more surprising: the fact that I bought one for $15. How could I resist tattoos and antlers? A sign near the calendars says ‘proceeds go to charity.’ I asked which one and was told about a ‘friend with cancer’ but really, I just wanted a funny calendar for my kitchen. 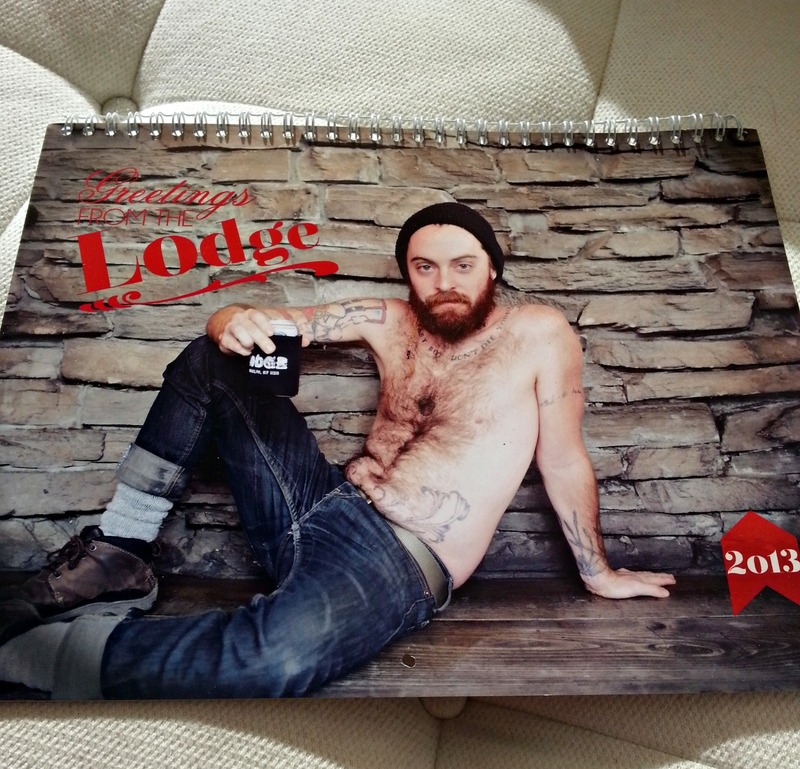 Sadly the folks at The Lodge don’t seem to sell the calendar online. Missed opportunity. This entry was posted in NYC, Snark and tagged antlers, barista, brooklyn, calendar, coffee, Forbes, General Store, hipster, nyc, tattoos, The Lodge, williamsburg on January 9, 2013 by onechicklette. I can’t even call him a hipster–dude works at Starbucks instead of the much cooler independent coffee shop, Northern Light. This entry was posted in Snark, Style and tagged barista, beard, coffee shop, facial hair, Northern Light, scranton, Starbucks on December 27, 2012 by onechicklette. 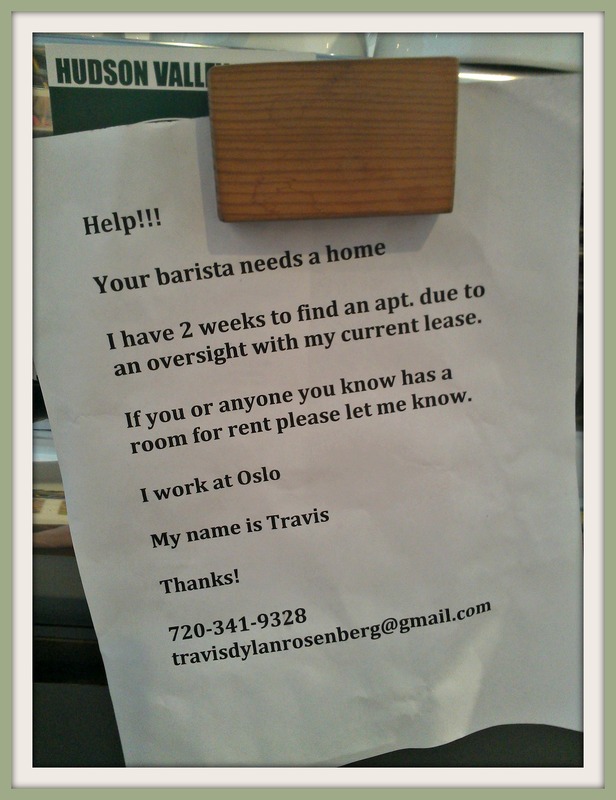 This entry was posted in Good intentions, NYC and tagged barista, brooklyn, homeless, Oslo, williamsburg on June 18, 2012 by onechicklette.